The 62-year-old leader asked why the Modi government has failed in preventing people like Nirav Modi and Vijay Mallya from fleeing the country. Bahujan Samaj Party (BSP) supremo Mayawati criticised the Prime Minister Narendra Modi on Sunday, 1 July, on the occasion of the one year anniversary of the Goods and Services Tax (GST) accusing him of shielding the corrupt. At a press conference in Lucknow, the former Uttar Pradesh Chief Minister said that Modi has also not fulfilled his promise of bringing back black money because many of those having wealth offshore are close to BJP. “People of the nation want to know why the government, especially PM Modi, is silent on black money,” she was quoted as saying by ANI. “Is it because most of those people who deposit money abroad are those close to BJP, due to whom it has emerged as the wealthiest party of India in such short span of time?” alleged Mayawati. “People in the country are wondering why is Narendra Modi govt so helpless when it comes to stopping them?” she said referring to the absconding businessmen who are accused of bank frauds amounting to thousands of crores. 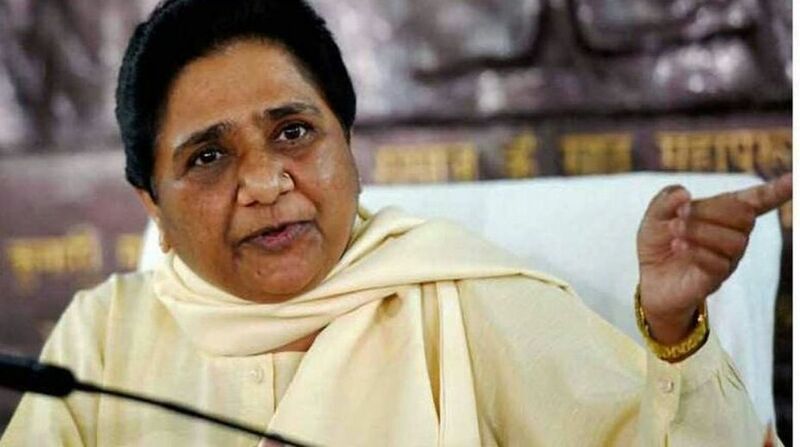 Mayawati alleged that the Modi government is trying to divert the nation’s attention from the core issues that relate to unfulfilled promises with communal and divisive politics. She claimed that the reason behind pulling out of the government in Jammu-Kashmir was BJP’s decision to return to “agenda of hatred”. “People are recalling promises made by PM, especially the one to bring back black money. That’s why BJP has chucked development issue and come back to its original agenda of hatred, communal disharmony, and divisive politics. That’s why they pulled out of the alliance government in J-K,” said Mayawati. The BJP-led NDA government is celebrating the first anniversary of the implementation of GST on 1 July. Imposed on this day in 2017, the GST has been criticised and praised with equal measure. GST has now replaced over a dozen central and state levies including factory-gate, excise duty, service tax and local sales tax or VAT. Aimed at modernising Asia’s third largest economy, the GST is India’s biggest tax reform in 70 years of independence. After one year of GST, economists believe a single tax would better serve the purpose though not everyone is of the same opinion. Outgoing Chief Economic Advisor Arvind Subramanian believes that the highest rate should go.